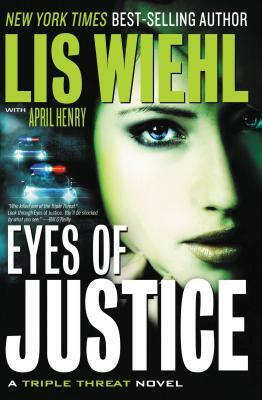 When One of the Triple Threat Is Murdered, All Eyes Turn to Justice. Cassidy, Allison, and Nicole fight for justice everyday--Cassidy as a crime reporter, Nicole as an FBI agent, and Allison as a federal prosecutor. Together they're a Triple Threat to be reckoned with. A force that, together, has solved the toughest mysteries. Until a ruthless killer finds a way to isolate and murder one of the three. When the authorities keep the survivors at arm's length in the investigation, the women's desire for justice goes into overdrive. They find an unexpected ally in a quirky private investigator named Ophelia whose unorthodox methods seem to offer a possible breakthrough in the case. Yet just as the police appear to have the killer in custody and justice within sight, the murderer strikes again. Not knowing whom to trust, the team must engage in a deadly game of cat-and-mouse where nothing can be taken at face value . . . and nothing will ever be the same. A riveting Triple Threat mystery that will leave readers shocked and satisfied.